In the years since being discovered as a YouTube talent, Justin Bieber has amassed an impressive collection of Hot 100 hits as a solo performer and collaborator: from his "One Less Lonely Girl" days back in 2009 to 2015's team up with Skrillex and Diplo "Where Are U Now," the Biebs has circled through a variety of styles, all of which impacted the Hot 100 chart. 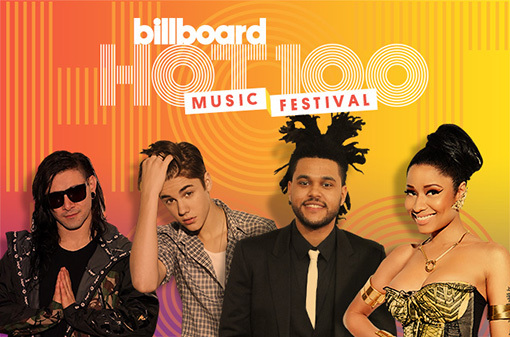 In honor of his upcoming appearance at Billboard's Hot 100 Fest, we're counting down his top 20 Billboard hits. I'm partly amazed that someone with such a short career could have amassed how much work, but I guess "featuring" or "featured" tracks will cut some of the work-load. It often amuses me that Bieber remains (just about) some kind of by-word for ubiquitous fame, when he doesn't really mean anything musically over here whatsoever. L0L ---- Looking at your newest chart as I chuckle. Ia'm expecting we'll see him next week. Congrads on getting him first lolol. PS --- I had the most terrible dream last night that Steven Moffat did an episode called "Beauty And A Beat". Peter Capaldi was very cranky as Clara was crushing on him. Dreadful dream ... one I need not elaborate on.